The New Jersey Historical Miniature Associates have their 2013 show on September 8th, 2013, in Wayne, New Jersey. More information can be found on their website HERE. 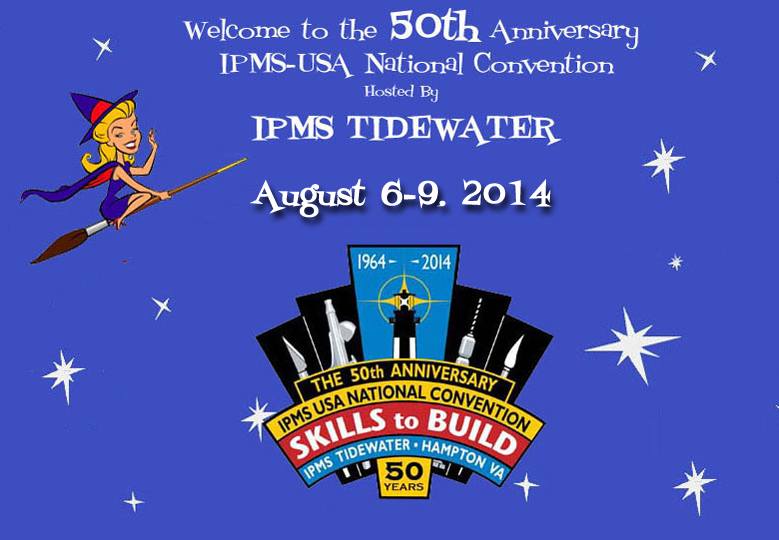 The website for the 2014 IPMS USA Nationals in Hampton, Virginia, is now live. Information on the venue, contest, and links to hotels are all posted. Check it out! We had good attendance at the August meeting for Pearl Harbor night. The entries skewed heavily in the favor of the Japanese with multiple Zeros, Vals, etc. on the table, and only two U.S. subjects (U.S.S. Arizona and a hula girl). Art Doran, the sponsor of the contest, awarded the prize for the Air category to Pat O’Connor for his 1/48th scale Val dive bomber, and Jerry Rinaldi took the award in Land and Sea for his hula girl figure. The next meeting is in September on Friday the 13th. There will be a grill set up in the parking lot for a cook out, and the eboard will be cooking for the club members. The August 2013 edition of the MosquitoGram has been completed and uploaded to the Newsletter page. 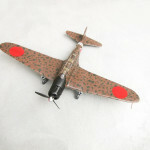 Also, taken from that issue, is a review of the Nichimo “Kate” torpedo bomber, by our own Art Doran. 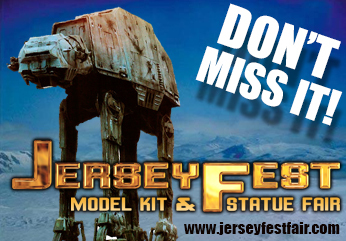 As mentioned in the newsletter, next month is the Jersey Fest Fair show. It’s a large science fiction only exhibit, Friday September 13th through Sunday the 15th. Several club members plan on attending and taking along some shiny sci-fi hardware for the show.